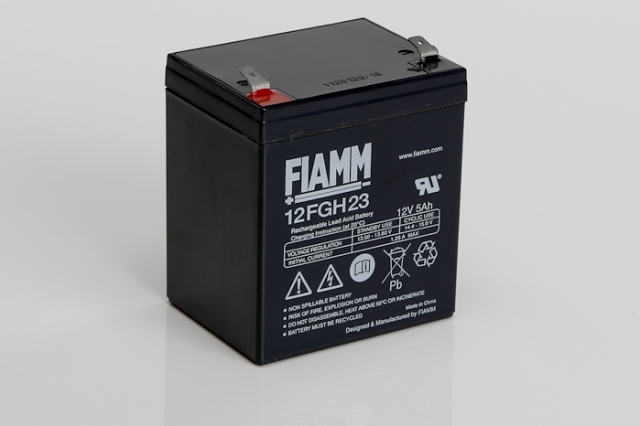 Fiamm FGH valve regulated lead acid batteries. 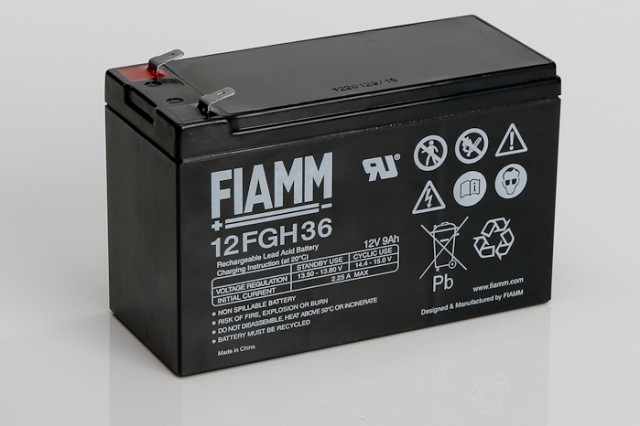 The Fiamm FGH range of batteries. 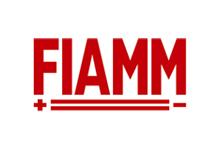 The FGH range of small sealed lead acid batteries from Fiamm offers further advancement to the classic FG design and have been developed to provide enhanced discharge capacity to meet with todays standby equipment demands. Designed to provide optimal performance these batteries are equipped with larger terminal fittings to allow a higher current capacity from the battery where required, making the FGH perfect for emergency power supply systems such as uninterruptible power supplies (UPS), security and alarm systems and starting equipment where a high rate of battery discharge is required. As with all Fiamm’s small sealed lead acid batteries the FGH battery range uses proven, reliable absorbed glass mat (AGM) technology and are non-spillable, maintenance free, non hazardous for air, sea and road transport and 100% recyclable, making these batteries a safe and environmentally friendly standby power option. It is easy to see why the FGH battery range is such a popular choice when it comes to fitting the best battery for the job. Blue Box Batteries keep large stocks of batteries to ensure swift availability where possible and as an approved UK sales partner to Fiamm we offer the best prices and product information. So please call us today at Blue Box Batteries to discuss your battery requirements, we have many years of experience and are always on hand to offer help and advice where necessary.